Viera Insurance Agency, Inc.: Admitted vs Non-Admitted Insurance Carriers: Which is Better? Admitted vs Non-Admitted Insurance Carriers: Which is Better? 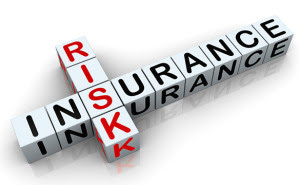 Most insurance is placed with Admitted (also called Standard) insurers, but there may be situations in which a particular risk is placed with a Non-Admitted (also called Excess or Surplus) insurance carrier. An Admitted carrier is required to be licensed in every state in which it writes policies. It must also obtain state approval for all forms and rates. Admitted carriers are required to contribute to the state guarantee fund, which is used to pay for losses if an insurer becomes insolvent or is unable to pay the losses due to their policyholders. A Non-Admitted carrier is usually only licensed in one state, and though it must receive approval from every state in which it does business, its policy forms and rates are not regulated by the states. Non-admitted carriers are not required to contribute to the state guarantee funds, as they are not protected by these funds. Non-admitted carriers are used for difficult-to-insure risks. This may include risks with prior claims, unacceptable features that do not meet admitted company underwriting guidelines, or unusual exposures that do not fit conventional policy forms. Because the rates are not state-regulated, the non-admitted carrier can price each policy independently for the specific type of risk. This sometimes results in lower rates than what an admitted company could offer. Typically, in order to be eligible for a non-admitted policy, a risk must have been rejected by three standard carriers. Also, the insured must sign a form stating that they understand that coverage is being provided by the non-admitted market, and that any claims will not be guaranteed by the state. It is important to note that just because a carrier is non-admitted does not mean that it is not regulated. Non-admitted carriers still have to follow insurance laws in the states in which they do business; most just intentionally do not file rates because they want to retain the flexibility they need for the types of risks they write. Admitted and non-admitted insurance carriers both have their place in the market. Much more important than the admitted status of a company is its financial strength. Non-admitted carriers often operate throughout the nation and even in other countries, and many of them are multi-million or billion-dollar companies. The state of Florida only requires a new admitted property insurer to show assets of $5 million. It is common for an admitted insurer, especially a smaller, newer one, to be far less financially stable than most non-admitted companies. As always, your best course of action is to discuss your options in detail with your agent. She can provide detailed financial information for various companies, and advise you of the most appropriate policy for your individual risk. I would like to introduce about Reliable Premium Management Services (RPM Payments). We are the only Pay-As-You-Go facilitator in the nation that works seamlessly with your insurance carriers,your agent/broker and your insurance carrier. We’re here to make workers’ compensation easy, affordable and less of a burden on you. We are a local Disaster Restoration Company that provides emergency services for Residential and Commercial Properties in the Sarasota and Manatee county areas. Key Cities are Bradenton, Sarasota, Palmetto, Venice, Lakewood Ranch, and Osprey. We are Mold, Water, Odor, Cleaning Specialist. Detail Cleaning Company. For more information visit here https://docs.google.com/document/d/e/2PACX-1vTVPWEYM_R_VVvVxUhR2YYzvQqH_rafn0Ub0y6dUrd5E85MTwa1bzgqZY3CcKaZ6i7TLCB1oqPAAnYH/pub.